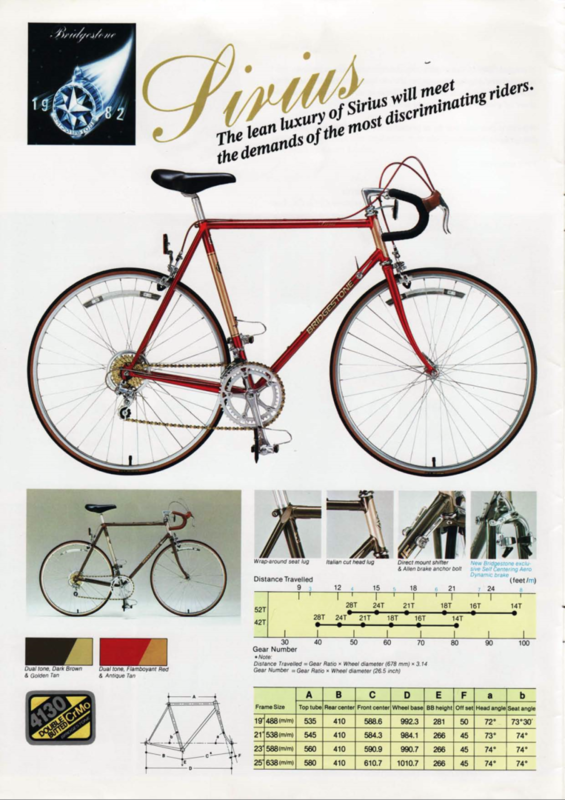 The first Bridgestone I encountered was in 1994, the last year the company sold bicycles in the USA, when I bought an RB-T after a long search for a good touring bike that could be used for commuting — and which I could afford at the time. 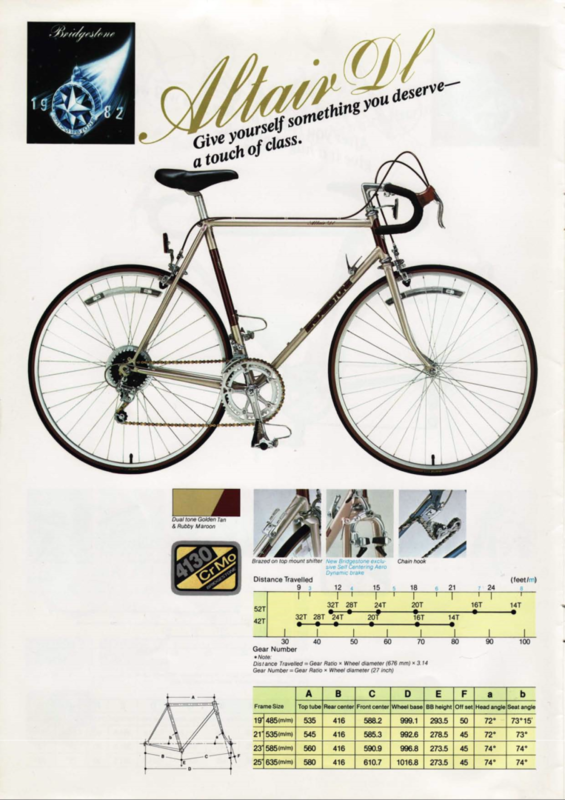 Since then I have ridden exclusively Bridgestone bicycles and discovered a benign shadow world of riders who have a nearly cult-like devotion to the small portion of Bridgestone bicycle products allotted to the domestic U.S. market in the ten years it persisted. Bridgestone as a corporation is gigantic, but it has always largely concerned itself with products related somehow to transportation. Its founder, Shōjirō Ishibashi (the name translates as “stone bridge”) began making tabi, traditional Japanese sandals, in 1925 and moved to tire manufacture in 1931. The company is now best known for its namesake tires and also owns the U.S. tire manufacturer, Firestone, but along the way has built motorcycles, cars and – starting in 1945 – bicycles, too. Not the sort of bikes stateside riders imagine when speaking of Bridgestone, but Japanese-style city bikes, with step-through frames, baskets and generator lights. Apparently the company made sporting bikes as well, though information about its early history is surprisingly hard to find given its size today. 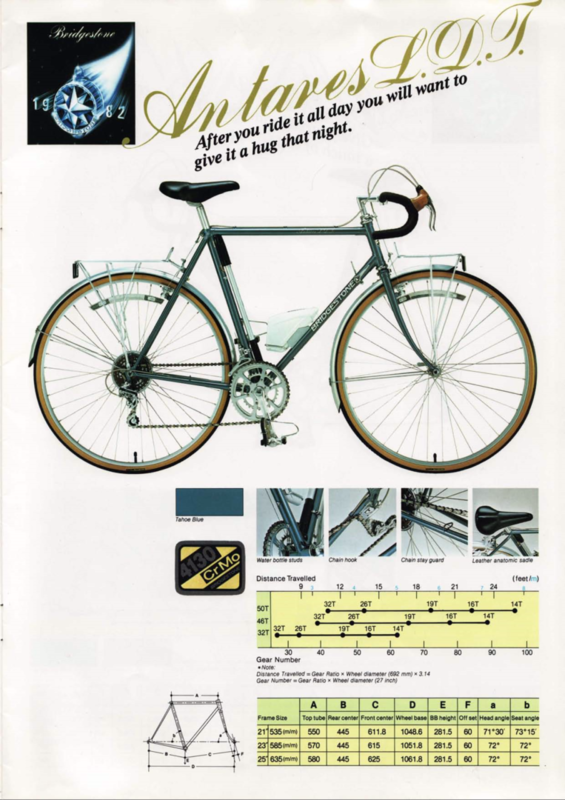 Bridgestone had developed a high level of expertise in sport bike design by the early 1980s, further accelerated when the beloved Grant Petersen – now of Rivendell Bicycle Works – joined the company as BridgestoneUSA marketing boss. While Petersen acknowledges learning much of his design philosophy from contacts with Bridgestone designers in Japan, BridgestoneUSA’s glory days are usually referred to as, “the Grant Petersen years.” Nonetheless, his success was rooted deeply in the company’s quality-obsessed origins. 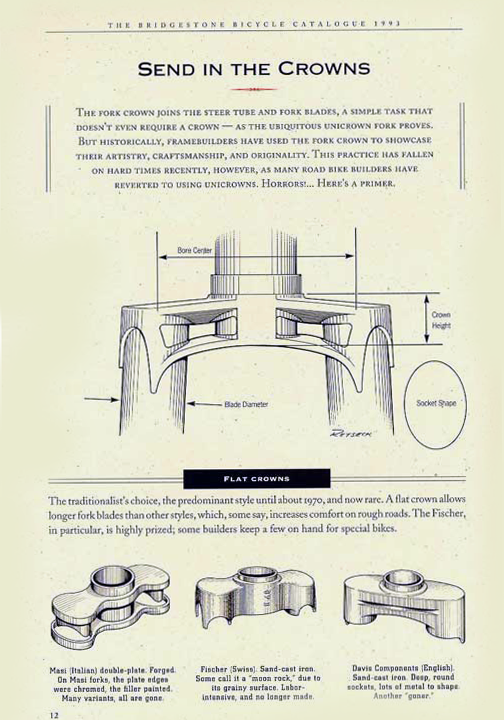 It was largely on Petersen’s watch that those Bridgestone products so sought by collectors today were designed and manufactured, having now evolved into a bonafide bicycling paradigm. 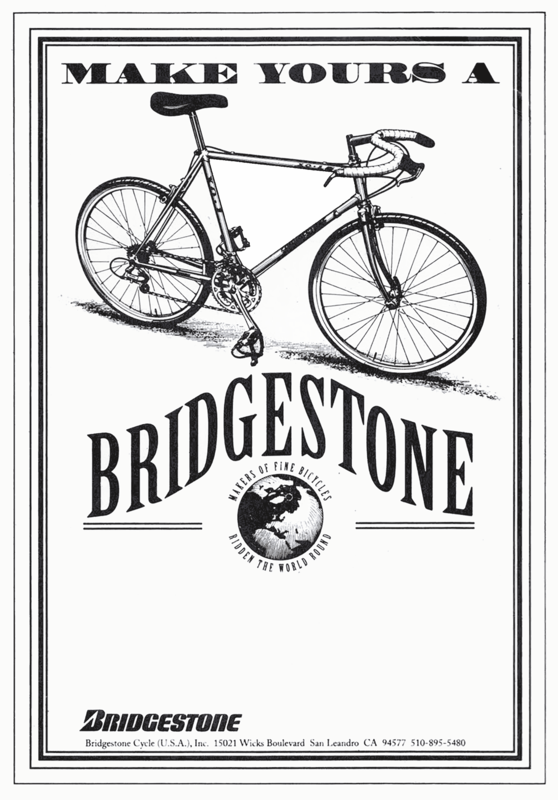 Bridgestone, being a Japanese company, always made bikes for utility, since the bicycle is a ubiquitous if not unglorified means of transportation in that country. In the United States, bicycles are also found everywhere — but for the most part, they just don’t move. The exceptions are racing-style road and mountain bikes. 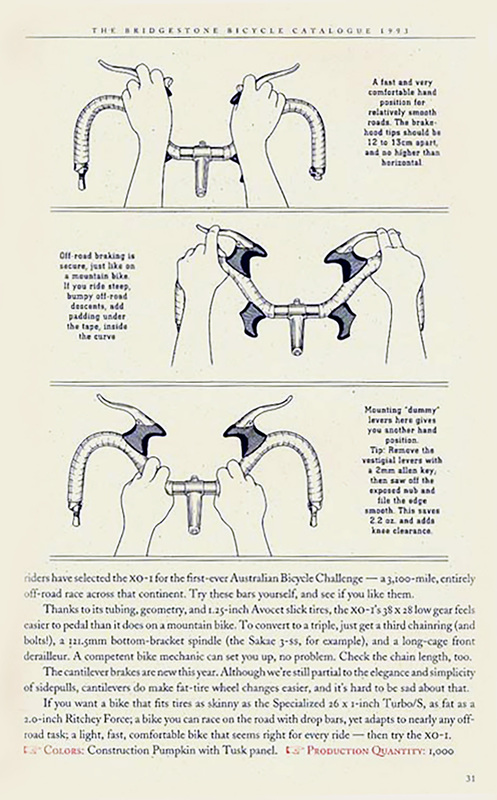 Adults in America feel compelled to justify bicycle riding by implying that they are engaging in competition, or at least preparing to, or pretending to prepare to. 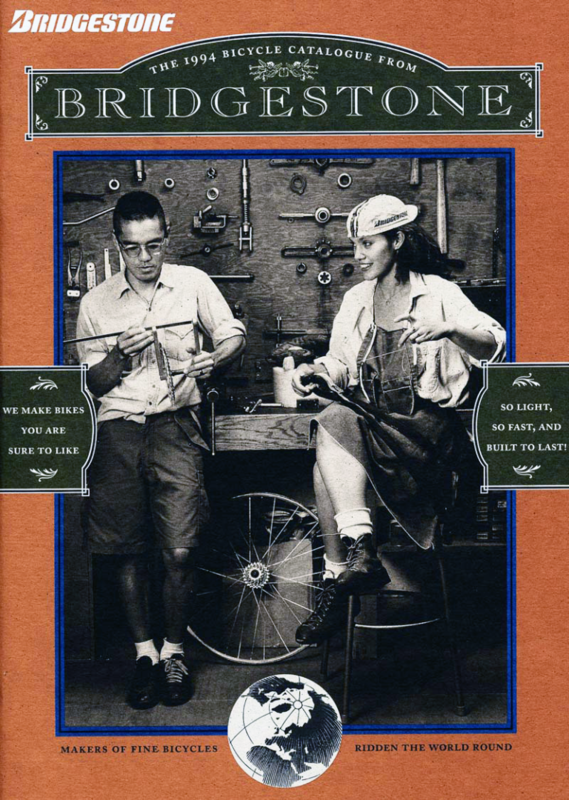 It was this market that Bridgestone hired Petersen to address, and he did it in a way that confounded many and delighted a perceptive and lucky few in America’s bicycle community. 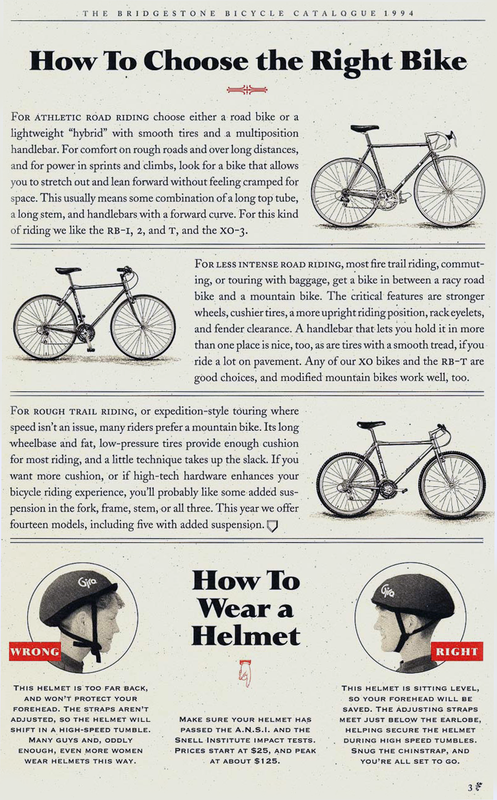 It also established a legacy that has continued to enrich both bicycling and the public culture of our country. Ishibashi’s motto for Bridgestone was, “For the welfare and happiness of all mankind.” While it may be suspect that building monster tires for SUVs, as Bridgestone now does, is in perfect harmony with that sentiment, there is no denying the bicycle is a near perfect vehicle for actualizing Ishibashi’s hopes. Getting cars off the roads, making room for people, for the rest of life, for general betterment. And at the same time sell bikes to brash, braggy, self-conscious Americans. The question was, how best to go about doing so with the limited resources at-hand. This was not Japan, where a bank president will ride what we consider a girl’s bike to work, wearing a suit and dress shoes. Ours was a land where you had to prove your manhood if you rode a bicycle instead of driving. Even if you were a girl. Grant Petersen set out to sell Americans on the idea bikes were practical yet sporty. It would not be an easy job. Coming on board in 1984, Petersen entered a design culture that probably resonated with his own perceptions – and which some say influenced him as much he did it. 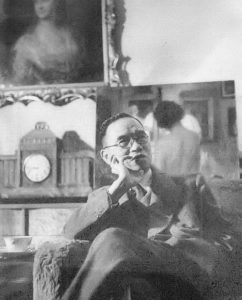 Certainly he had been exposed to Japanese concepts of practical sporting bikes through his friendship with Hiroshi Iimura of Jitensha Studio in Berkeley, California. 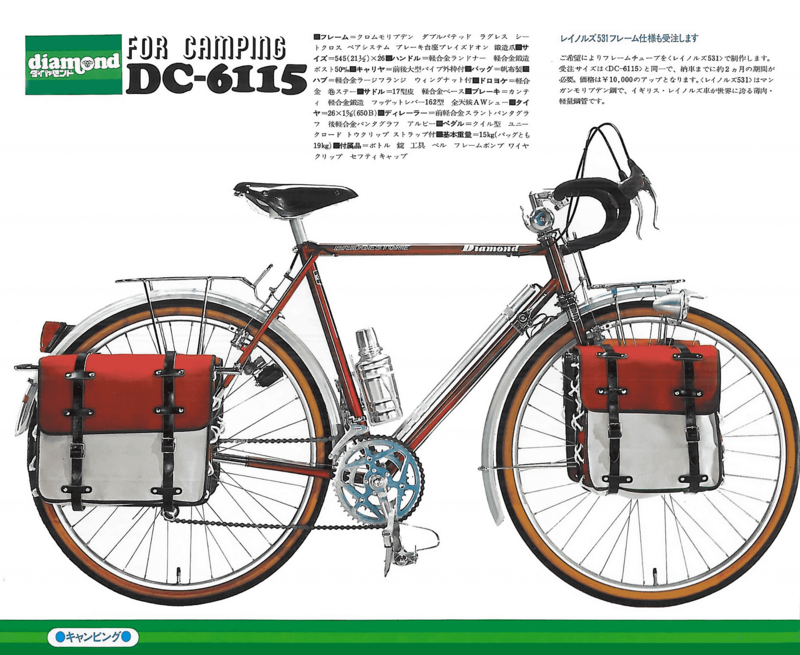 Iimura designs custom bikes, usually in the French randonneur mode, which he assigns to ateliers in Japan for construction. His bikes are reputed to be comfortable, strong and fast, and are usually able to capably address various types of riding and road surfaces with little modification. 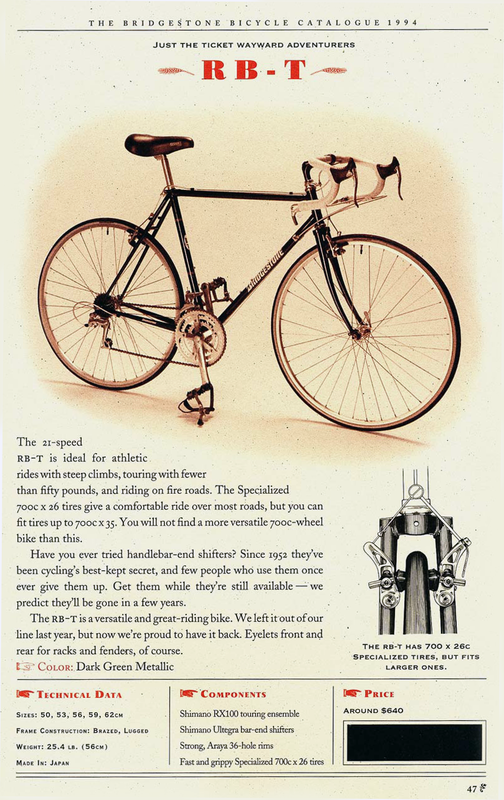 Petersen’s present effort, the aforementioned Rivendell Bicycle Works, operates almost identically, except that the full custom jobs have gone to a series of U.S.-based builders, and the early production models went to Waterford in Wisconsin. They now go to Toyo in Osaka. And during the Bridgestone years, of course, the higher end models were built by Bridgestone itself in Japan, with cheaper models farmed out to capable builders in Taiwan. Presently, I myself ride a “pre-Grant” Bridgestone, a 700c, and have owned two Grant-era Bridgestones – the RB-T and an XO-2. The 700c, while definitely a racing-style bike (the father of the famed and beloved RB-1, in fact), definitely feels like a Bridgestone: it is light but not loose, with both quick and stable handling. 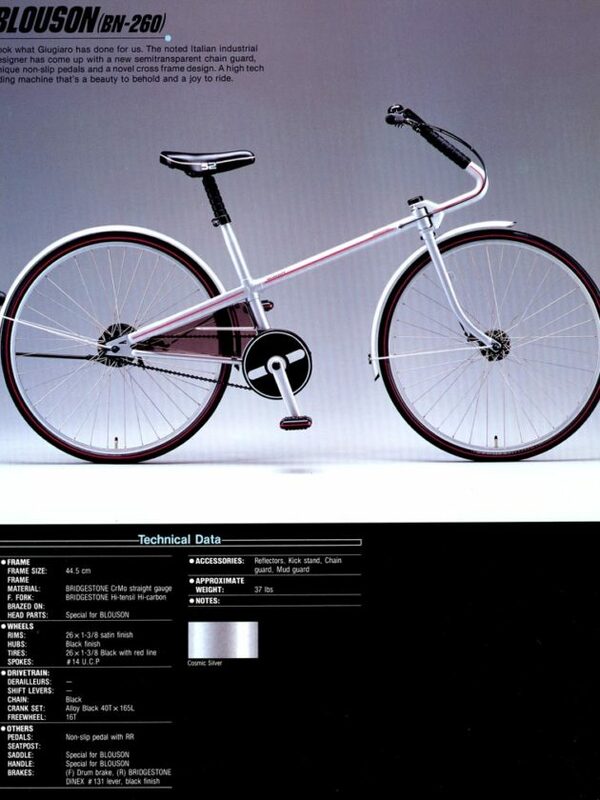 Perhaps this is partly because of the bike’s versatile fork design. A friend to whom I described its characteristic of simply going effortlessly wherever I looked on the road, with seemingly no input from me, called it a “telepathic bike.” It has clearance for 28mm tires, and braze-ons for racks and fenders, both also fork features. It can withstand the pounding that it faces daily on shattered LA streets — streets that would give a mountain bike nightmares! It is very fast, yet comfortable enough to sit on all day long. It is your quintessential Bridgestone. Grant Petersen and Bridgestone — despite rumors of squabbles over commercial matters — appear to have been destined for each other. 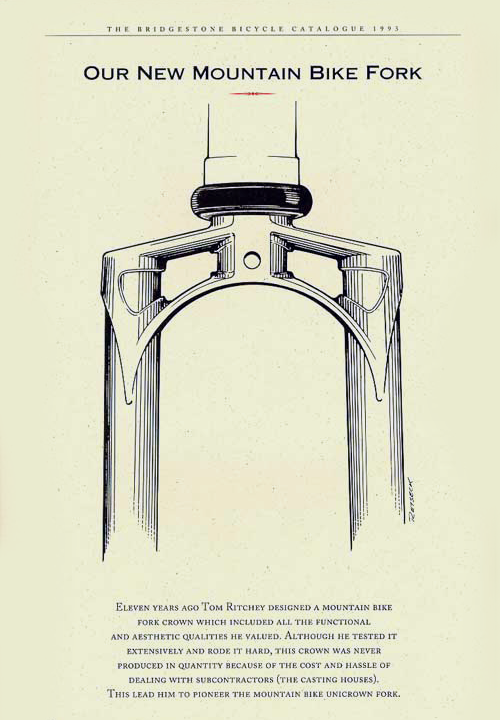 Petersen’s influence magnified the qualities that made Bridgestone’s sporting bicycles Bridgestones. It also evoked scorn from competitors and journalists who couldn’t comprehend the new paradigm forming in their midst. 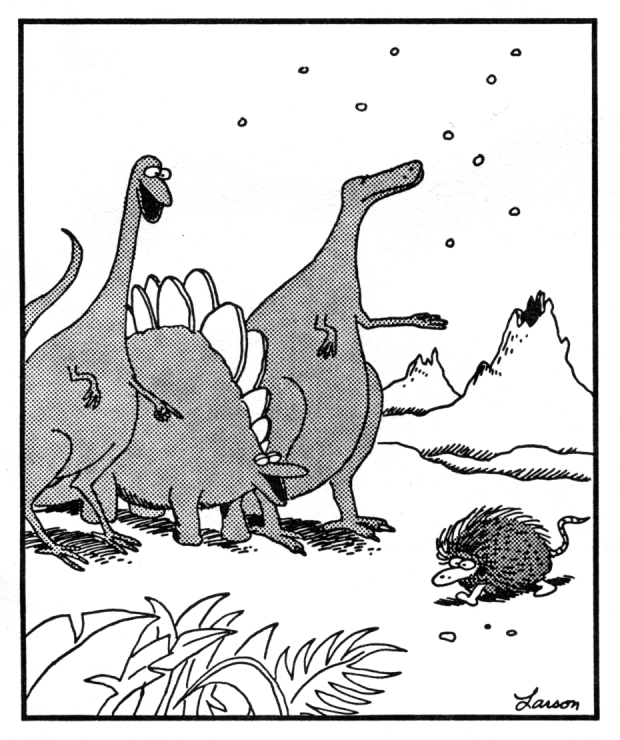 It reminds me of a Gary Larson cartoon I saw years ago: two dinosaurs laugh as they point scornfully at some small, furry mammal scurrying by — while a third dinosaur looks with puzzlement at the snowflake that has just landed on its outstretched hand. Now, with the atmosphere stewing, oil diminishing, the Gulf Stream slowing, the Caribbean dying and the last farms wavering under an onslaught of drafty McMansions, the idea of a bike you can ride to work through the rain sounds pretty attractive. All the more so if it’s fast and fun, and doesn’t give you hemorrhoids after using it. 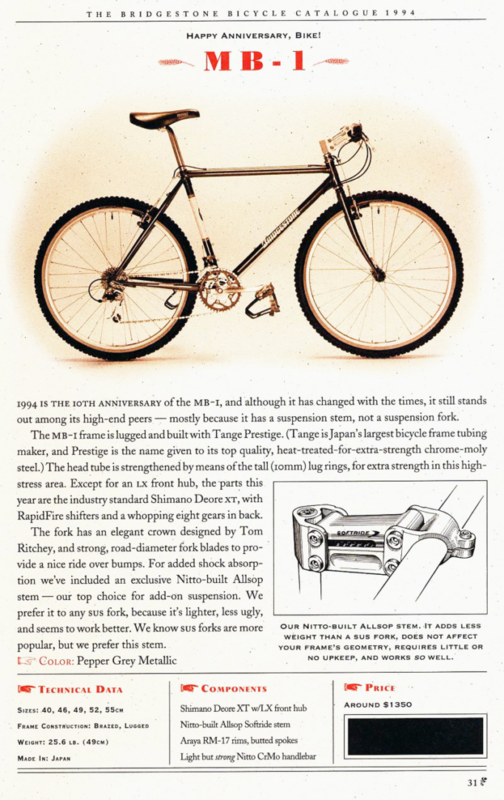 Petersen’s marketing copy for his present Rivendell project makes repeated reference to “rough stuff” bikes, basically ruggedized road bikes that can run naked on narrow slicks or put on fenders, racks and wider rubber to venture as happily off pavement in the rain as on a Sunday road spin. Most Grant-era Bridgestones came equipped for riding, riding hard and fast nearly anywhere one might want to go, without worrying about what would break next. 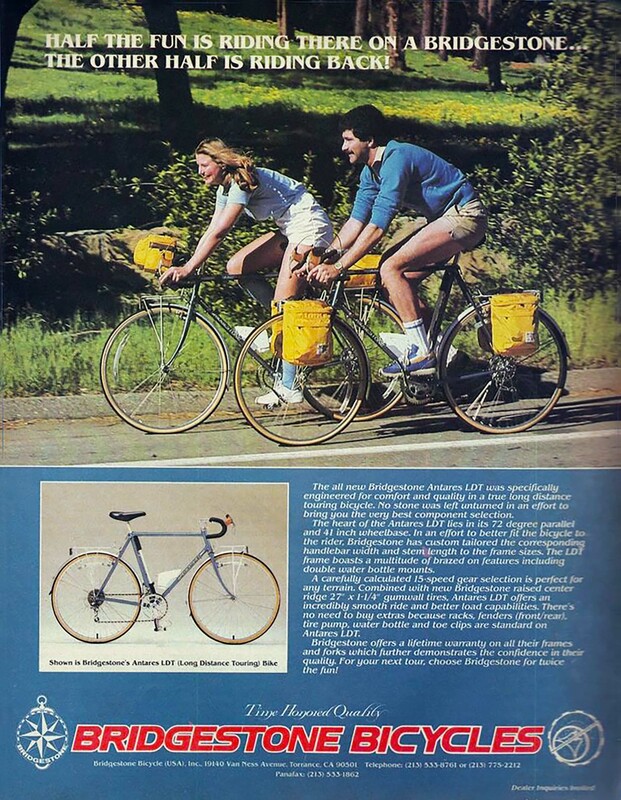 The philosophy made no reference to contemporary bicycling fashion, and resulted in bikes that puzzled those who couldn’t see beyond their own conditioning. 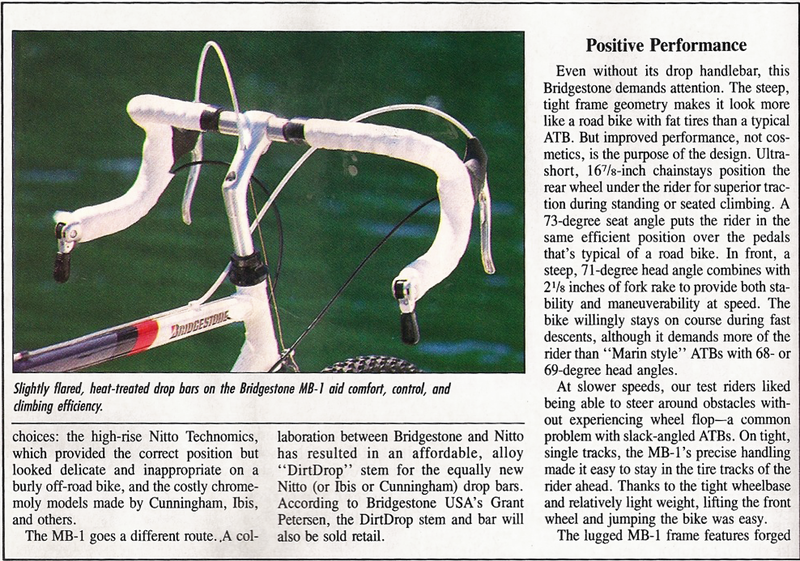 Bridgestone mountain bikes helped define the modern ATB — but the top end model came with drop bars! “Dirt Drops,” specifically designed to the task, and among the most wonderful handlebars anywhere. Hardtails all, they rode and climbed better than most ATBs of that time or this — but they didn’t “look like” mountain bikes: no shiny (and heavy) suspensions, no oversized (and heavy) tubing, no (brittle and stiff) aluminum, no screaming graphics. Just the agility of a panther, the strength of a mule, the grace of a deer — a fitting mount for singletrack, but not the same brag value when hanging on a tailgate bike rack. The road bikes – the RB-1 and RB-2 – were raced to great success but in the end may not have been loud enough for the glam-rock target market. Still, a clean 59cm RB-1 sold on eBay a few weeks ago for over one thousand dollars, a full twenty-plus years old. The RB-T, one of Bridgestone’s more obscure models when released, is now a popular cyclocross mount. While riding mine once, I had the pleasure of falling in with a group of club racers on the Pacific Coast Highway during a ride to Santa Barbara. Loaded with panniers, fenders, 32mm tires and all, I maintained pace with them for twenty brisk miles along the winding coastline, slowing down to touring pace for the remaining half-century of my trip after they turned off the road for lunch. 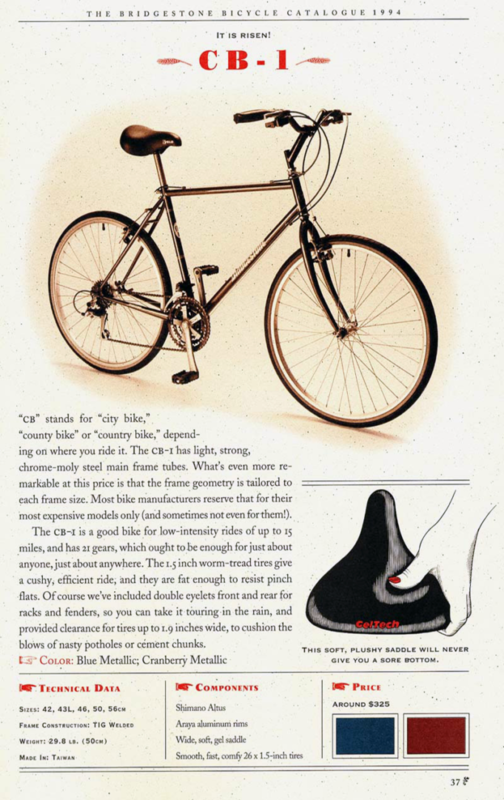 Petersen also introduced the CB, or “City Bike” series, in an effort to provide novice bike commuters with something better than the neither-fish-nor-fowl hybrids offered at the time. Perhaps the “most Japanese” bikes ever offered to U.S. buyers, the CB series was hardly a significant contributor to Bridgestone’s bottom line. It was the XO series that was probably closest to Petersen’s heart, and the quirkiest (for its time) bike Bridgestone ever produced. 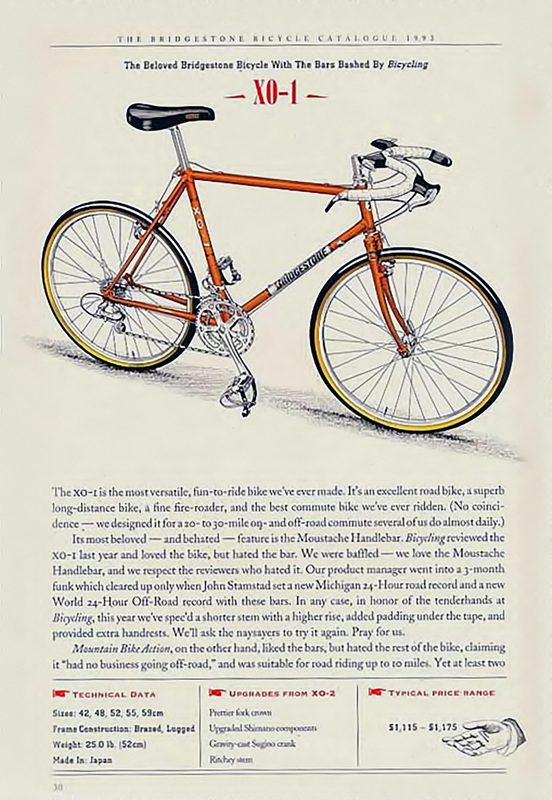 The XO was, if surmised correctly, Petersen’s effort to produce something approximating the French 650B-wheeled rough-stuff bikes of the middle 20th century. 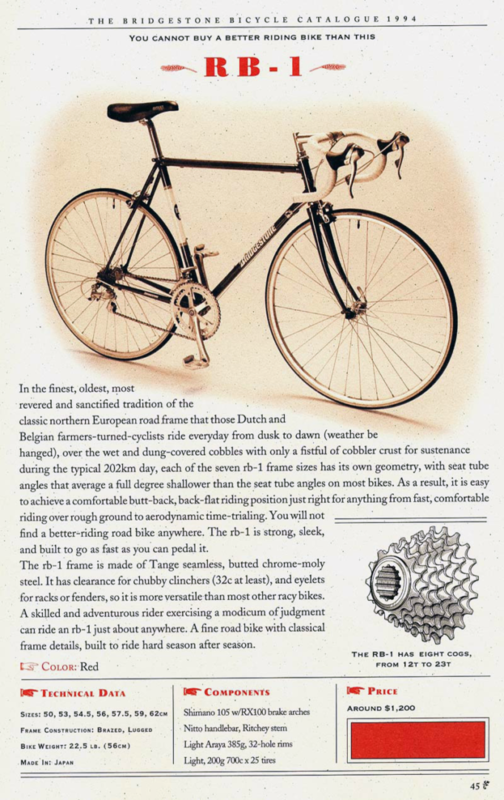 They were basically road frames built for 559 (mountain bike 26-inch) wheels; they could take anything from narrow slicks to (in most cases) moderately wide knobbies; they could fit racks and fenders. They came as triples well before aging baby boomers made them common on play-racers — and they came with the beloved/notorious moustache bar! The bar was so controversial that to this day some folks still blame it for Bridgestone’s closure in 1994, actually a result of the dollar dropping precipitously against the yen. 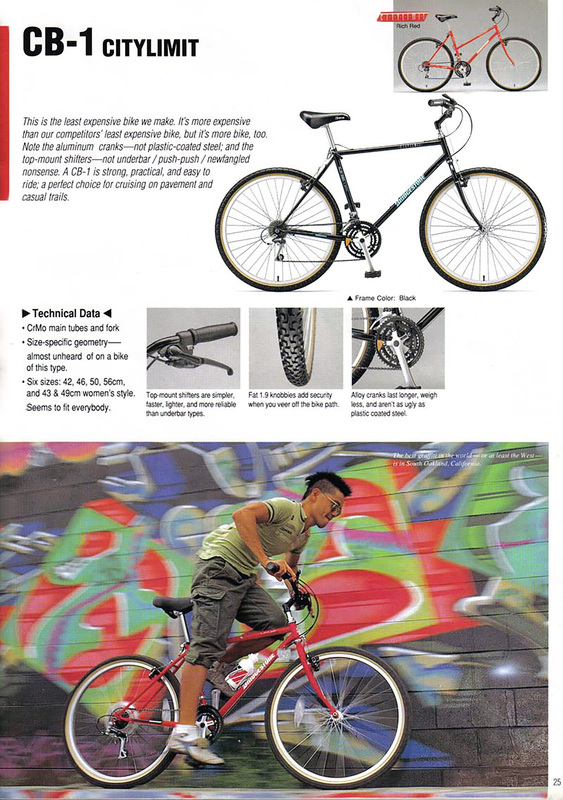 In a twist of fate befitting Bridgestone, its popularity has grown so steadily that mega-discounter Bike Nashbar now offers an imitation in their current catalog. Petersen’s ambition was not just selling bikes, not even well-made, affordable, practical and sporty bikes – which he did. 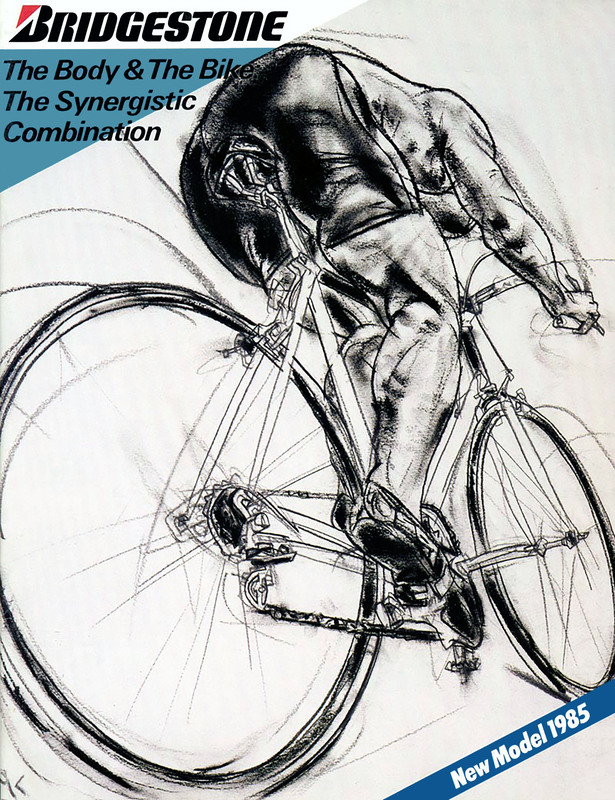 It was rather creating a community centered on the bicycle — but going beyond the bicycle — and he structured Bridgestone catalogs to resonate this belief. 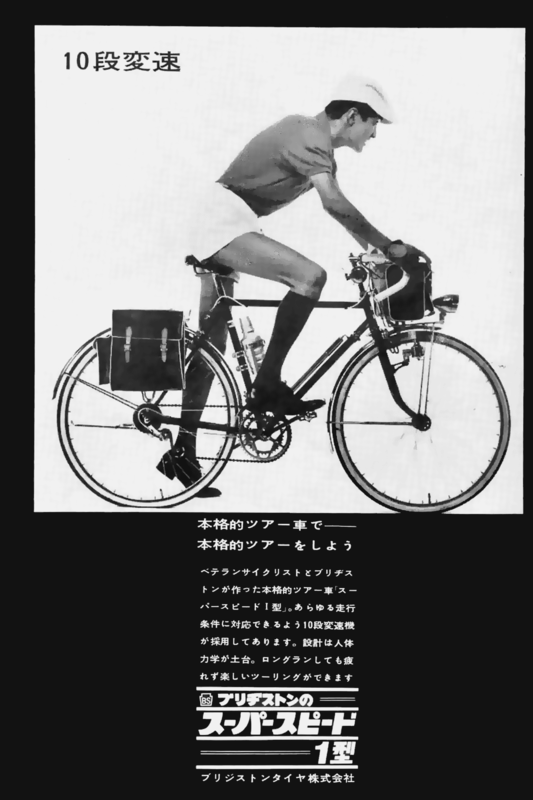 Articles included topics like: the history of bicycling, the means and manners of the rider and the ride, things that in some way reflected the spirit of the bicycle and of Ishibashi’s motto, and on the emotional and material qualities of utilitarian things. Even articles on baseball gloves. 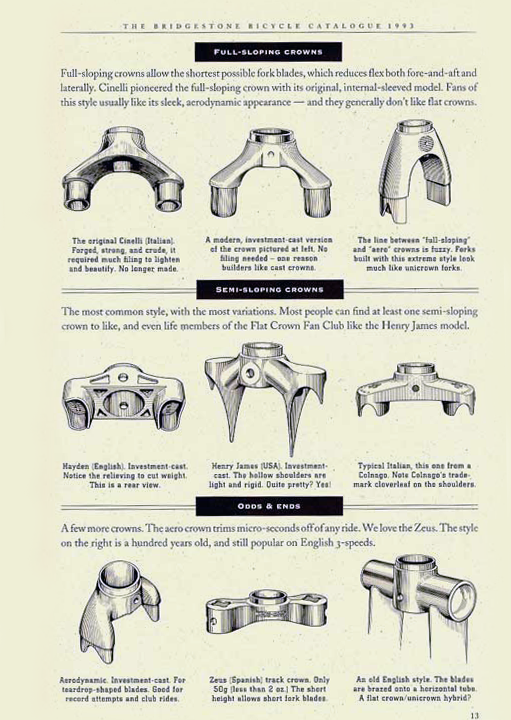 The history of the derailleur. A story about an old man who straightened and reused nails he found in his back yard while mowing the lawn. Lofty pieces about economies born of love and sense. Things like that. 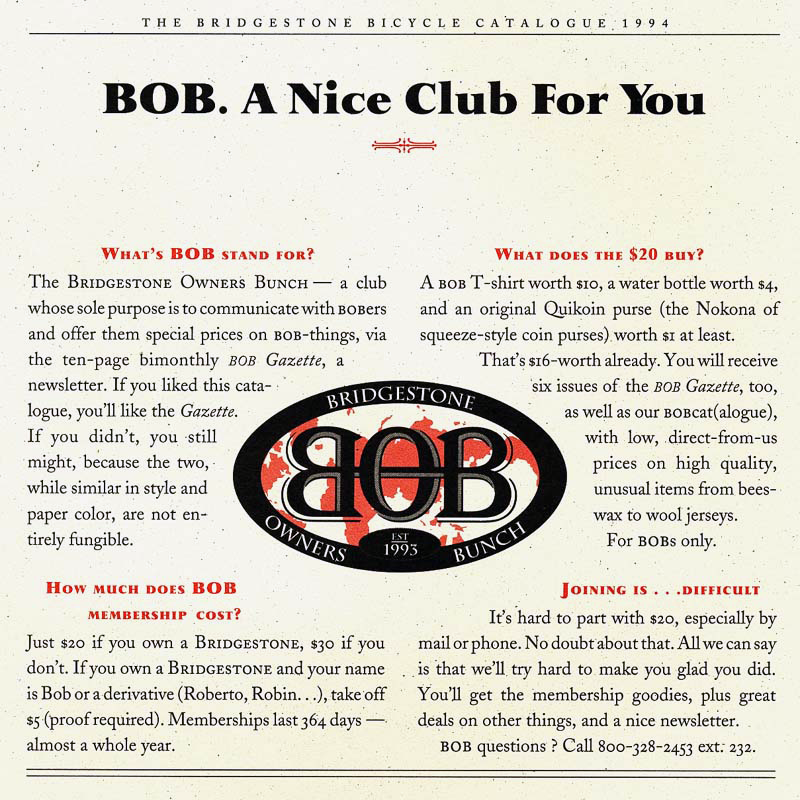 Petersen went on to found a sort of club called the Bridgestone Owners Bunch, the primary benefit of which was a newsletter devoted to such articles, and a few product plugs. I joined it myself. After Bridgestone shut down the U.S. bicycle division, someone restarted the BOB, as it was known, on the internet — and the iBOB list is now a lively forum logging dozens, sometimes hundreds, of posts per day. So the bikes and the spirit of BridgestoneUSA live on and live well. It seems every week I see a commuter bike wearing fenders and moustache bars somewhere in L.A. 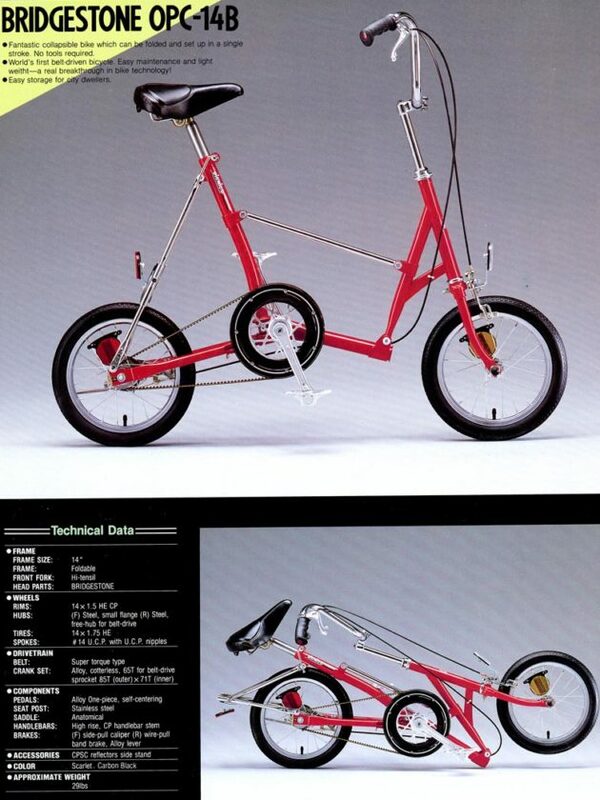 The local fixie set rides bikes that would look in place on any Bridgestone showroom floor back in the day. And lugged steel abounds in our Critical Mass rides. 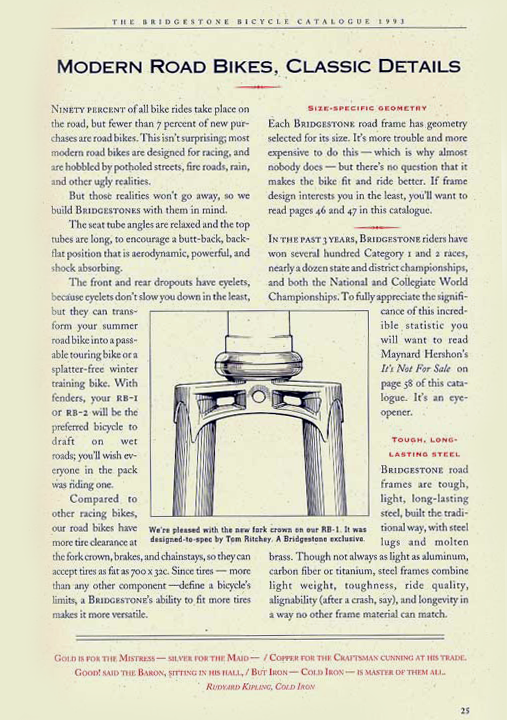 Where most bike companies dare to understand only fashion, Bridgestone, under Petersen, knew the tallest tree requires the deepest roots. 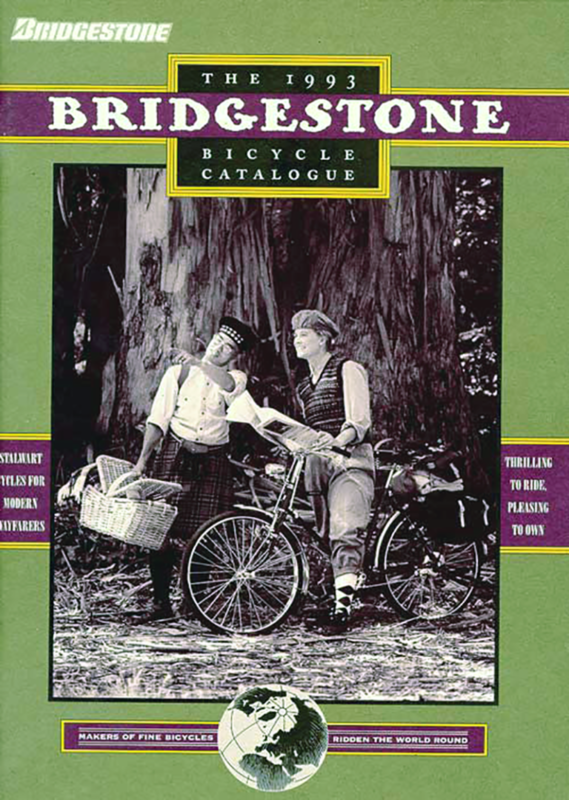 Bridgestone in the glory days made more than just good bicycles: it made good bicycling, and to this day it nurtures a growing planetary civility that may just save our silly little human race, bodies and souls, and give us a great ride into a happier future. My ’94 Bridgestone RBT is still running smoothly with its original parts, although I recently switched the drop handlebar for an Albatross bar from Rivendell. Now I have the perfect combination of a commuting/touring setup. The bike is very steady in traffic yet can be comfortable for long trips. I also have a Peugeot PGN 10 from 1985 but the RBT is the one that I turn to most often. A great bike! I’m looking for some history on the Bridgestone Sirius. I’m not sure of the year. Some Suntour cyclone components. I am curious what years these were in production and if Grant Peterson (Rivendell) had any hand in their design. During 1987 I bought a Bridgestone RB1 in Japan. Its blue and all the componets are Shimano 105. Its a 12 speed. The shifters are on the down tube. Too this day I’ve been totally unable to find another one just like it. I can’t even find one on the internet. I guess I’m the only one in America that own’s one! 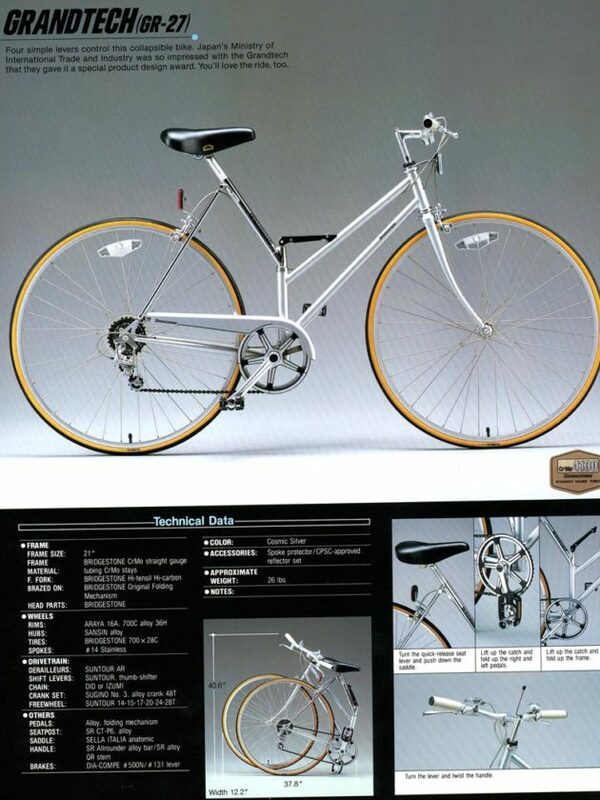 I’m a few years younger than Grant P. I learned my cycling chops on English and Italian 10-speeds, learning how to disassemble and reassemble all manner of parts, fix sew-ups, and grease leather seats. When I yearned to return to bicycling as a seasoned adult, I serendipitously found Rivendell. Now, I have four lovely steel lugged bicycles, including a stock ’93 MB-2 in a glorious red. I still ride it on trails, and it is a perfect bicycle for the job. I did replace the headset, bottom bracket, and seat, the latter being a Brooks Champion Flyer with heavy-duty springs, so it’s sprung in my own way (as I am). It’s in ways my favorite bike. Great web site! I love it. 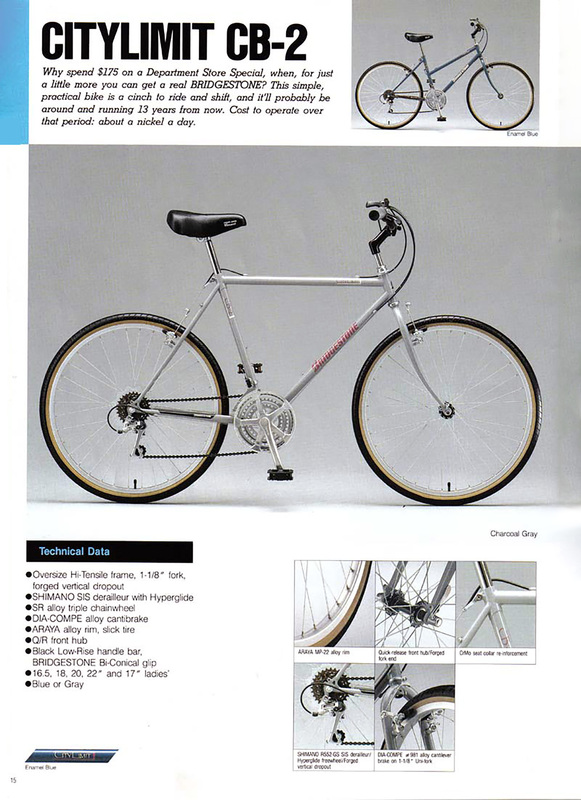 I was wondering if you had any information on a Bridgestone roadbike model called the “Grand Velo” or if you could point me in the right direction. I have a Grand Velo 2000. It is a great riding bike. Even though it is old it will not disappoint. 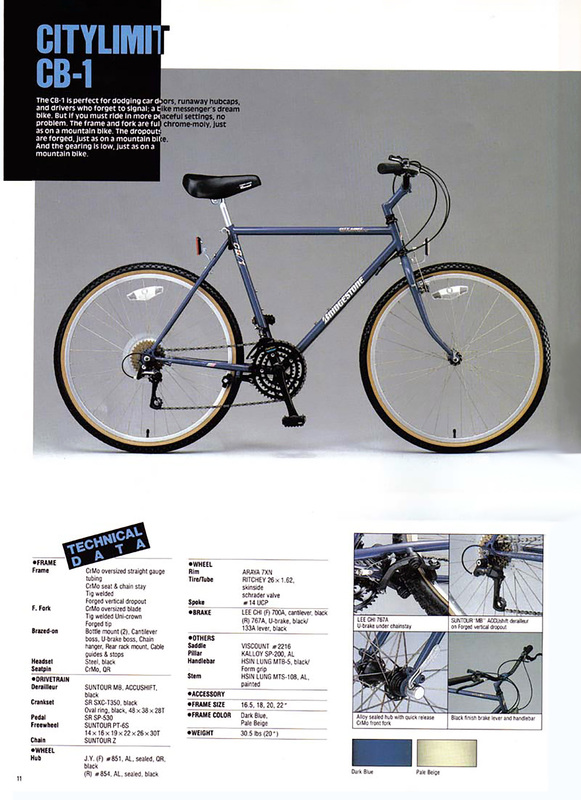 Sheldon Brown has a scan of the Bridgestone catalog showing the details of the bike. 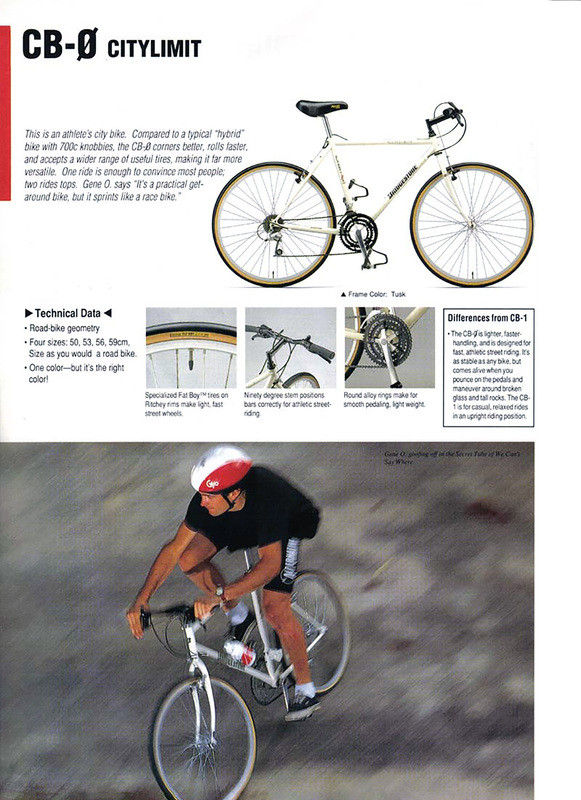 The 3000 came with Dura-ace and the 2000 came with mostly Suntour Superbe components. Hi I just found a Bridgestone RB-2 in dark-blue in great shape.The thing is how much was this bike brand new.Also it has some black bars attached to the handle bars that a lot of turing guys use the brand is “Profile”.The derailer is 400 EX Exage,Handle bars-Sahae,Brakes are Exage motion,Seat is Avocet Racing.This bike is a 14 speed.Please can some one give me some idea of the cost of this type of bike.Thankyou. Would love to hear any feedback you’ve gotten on the Bridgestone Sirius. I’ve got one too. I have a Japanese City Bike, but want more! Love this bike. The Labels say “TOUCH” & “EMPLETTE” and Nakamichi. But nothing on the web until I typed in “Japanese City Bike” and found this bike is so commom in Japan, it is often abandoned. Well not in Costa Mesa California. If you know where I can get one, besides or maybe Tokyo, email me. Domo. I have a Bridgestone MB-5…mountain bike in excellent shape…probably 7-8 years old? If I were to sell, how much is is worth? I still love riding it. a few years ago (2) I piked up a used bike in a garage sale for $25.00 dlls. bike into a almost full resto minus the tires.The bike is in MINT condition and every place I ride it,I always get comments on it’s looks and the fact it is an original “BRIDGESTONE”. I have had several offers to sell it ,but this will be a keeper.This FORMER garage orphan now sits proudly with my other bikes of equal quality like “BIANCHI,CINELLI,FASSI,AND COLNAGO. I have a bridgestone sirius too. Early 80s I think. It’s brown and 62cm. Please let me know if you find out anything else. Hello, I’m from Puerto Rico. I bought an blue RB-1 on 1988. I’m still using it about three times a week. It still is all Shimano 105 with some newer parts and changed from 12 to 16 shifts and the frame shiters to brake/shifters (handlebars) on 2004, besides other things. For my riding schedule it’s doing OK. I own a 1993 MB-1 and love it. I bought it as a frame, they sent 2 for a warranty replacement instead of one and Bridgestone told them to sell it. I built it up with all kinds of good parts, for back then. It is my one and only MT bike and will continue to be until it finally dies. I did own an Mb-3 also a fine bike. If i had known that Bridgestone was going to leave as quickly as they did I would have bought as many as I could have! Lot’s of people ask about the Sirius..i just bought one myself and am interested to know about it’s history as well. Does anyone know where to buy these bikes. I live in the UK and hungry for a good bike. what year was the Bridgestone RB1 offered in black and white? Also how can i tell what year my RB1 is ? I found a Banana Yellow Bridgestone Superspeed bike in a pawn shop about 10 years ago. Everything on the bike looked original and in good shape except for the dry-rotted tires. I picked it up for 22.00 US dollars, bought new tubes and tires for it and I have to say I am amazed at how easily this thing coasts! I don’t think I can part with it. Any ideas as to what year this thing was made? Any details on it? 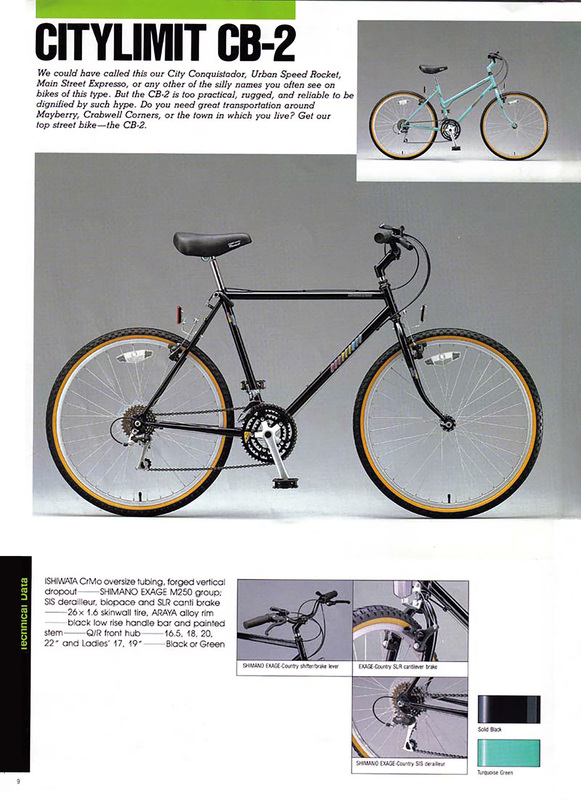 I have a 1993 Bridgestone XO-1, orange frame, acquired in like-new condition in Portland , OR some five years ago. I am 69, hardly rode it and now I want to sell it. All parts on it are original. It’s a small frame (top tube 505 mm, C-to-T 42 cm, stand over height 687 mm). Would you have suggestions as to where/how to sell it to someone who would appreciate it. The local Craig’s list (PIttsburgh, PA) seems unfruitful. I am very interested in your XO-1. How may I contact you? Hello – I also have an XO-1 orange bike that I am looking to sell soon. Can you give me a ballpark value of this bike. It is in excellent condition. I can send pictures if that would help. Thanks! I have a green superspeed that I bought new back in 1973 if that’s any help. Help ! I have a red Bridgestone 400 Sport Touring and have no idea how old it is ( looks and rides brand new but from what I gather they stopped making them ? is that right ? ) I need to sell it and have no idea what I have to be honest . Shimano (sp) parts,shifters on frame.Made in Japan. Various markings such as “Cr Mo 4130 ” , “straight gauge tube ” . Can you tell me anything from this info? Any RB-1 in original condition with all parts is going to be worth a lot more than any conversion. If you want to maintain the value of that RB-1, keep it cleaned and lubed but don’t remove anything unless you plan to keep it for your own use. I also have a 400, a 1985 model in red ruby metalflake with silver headbadge area and silver panel on the seat tube. Mine was made in Japan out of triple butted 4130 cro-mo tubes made by Ishiwata. I plan to keep it. The original Suntour and Diacompe components work well. I will swap the saddle for something lighter and better, and changed the wheels over to 700s with 32 spokes to be ligher and better performing than the 27s with 36. Replacing the stainless steel coil cable housings and cables will improve performance and drop a few more ounces. I’ll likely change the Sakae road bars for Nitto Noodles. I will also change the pedals to SPD clipless. I could change to aero brake levers, but the Diacompes work well except the reach is a bit long for my smaller hands. Those changes alone should drop the weight down to 22 lb. The gearing is for hill climbing with a 14-32 rear and 52×42 front – drilled for adding a 36 triple – works for me in the hills and mountains of north Georgia. 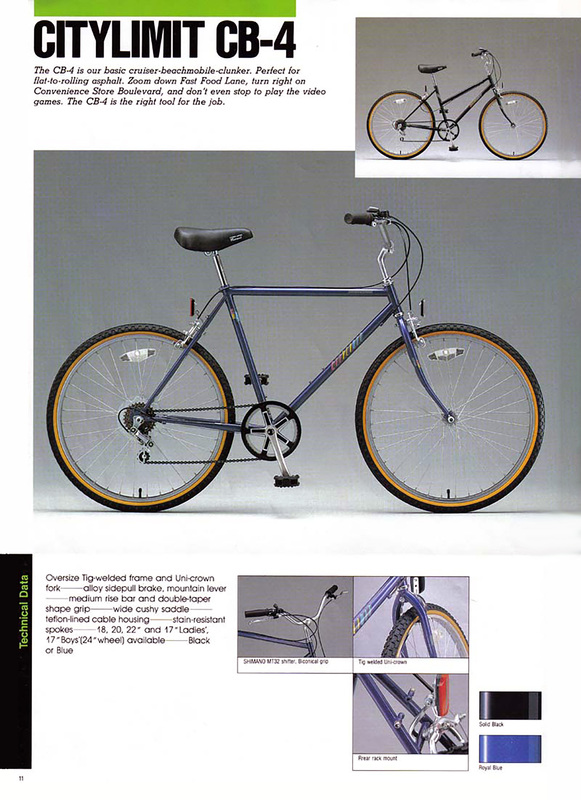 I have a 1992 Bridgestone RB-2 I bought new (blue and cream). It is all original except for tires and some drivetrain maintenance (new chain and cassette). Another slight mod is when I first got the bike, I put a Selle Italia Turbo (limited edition) saddle on it that I had won in a club race series, however it is still a saddle of that era. I live overseas and the bike stays in storage at my mom’s and I only get to ride it a couple days a year. It still rides like a dream. Funny thing is…I knew it was something special when I bought it and it is still a great bike. Weird how now its considered a classic like a 65 Mustang. I have my Bridgestone BM3 Comp in Black since 1989, 20 years, looks an run like new. I yust one to sell it but is priceless for me. I’m looking to move for new bike technology. Probably i’m gone to keep it. Every time i ride my oldiest is diferent, i realy love BM>>>Bikes. I have a Bridgestone Kabuki SuperSpeed that I bought in 1976. Everything on it is original. It’s been stored inside. I would like to sell it. How much is it worth? I have a Bridgestone Kabuki SuperSpeed 6-gear, mint green… does anyone know how old it probably is? I stole it from a neighbor’s basement when I was in highschool and never bothered to figure out the age. Everything is original and I’ve only just recently been having (epic) problems with it since I’m living on Nantucket (humid, salty air) and all the gear cables rusted through in a month. 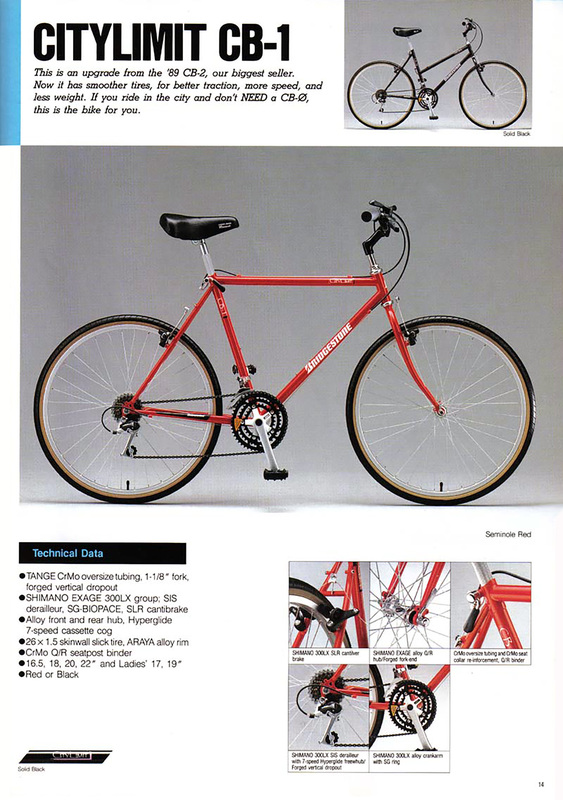 I have a 1992 red rb-1 frame set never been built or ridden and am either looking at selling or building. Would appreciate any help on the matter. As to value(selling) or where to get parts (building). Bridgestone stopped producing new bikes in 1993 right? I’ve just been trying to find the last models for a small catalog I’m putting together. I bought a 1989 RB-2 for my goal of commuting 1000-miles by bike (see website), and it rides very well on the rough streets of Baltimore. As to value, I paid $180 for the bike, and had to put at least that much into it to get it rolling, as the drivetrain wasn’t ready for prime time, and it needed a new chain, tires, and tubes. I’ve not seen one Bridgestone road bike in this city, and I guess the RB-1’s are even more rare, so who knows how much they are worth. I have a Bridgestone XO-5 which I purchased new and has hardly been used. I’m interested in selling but have no idea as to value. 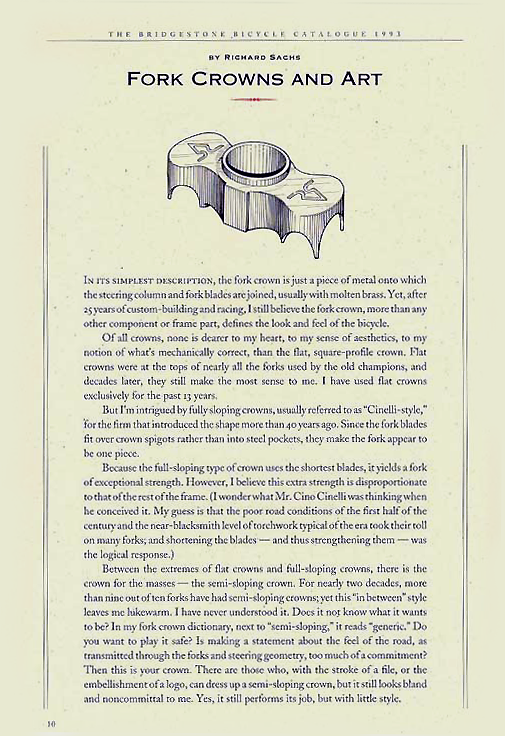 The 1993 catalogue indicates typical price range of $400 – $425. Any info would be appreciated. I have owned both a MB-zip that I bought new while in Anchorage Alaska and a XO-1 loved both of them. Wish I had not given my Zip to my younger sister it as I spec’d in in Suntour XC Pro micro drive and as we know Suntour is NLA now yet rebuildable vs Shimano. It’s still going strong she uses it as a commuter bike to and from work. Loves it as well. The XO was stolen 🙁 from my garage in VA when my son forgot to close it. I had given my now ex wife a X0-6 with mustache bars and from the last I heard from my daughter she is now riding it. Loves how comfy and quick it is compared to her mtn bike granted it’s on slicks and has a conventional fork. RIP Rivendall and BOB days. I just decided to pull my Bridgestone 400 brick red with grey-silver/white decals out of the shed after 20 years. If I remember correctly I purchased it sometime during 1986-88. It has an Al Italia seat, 27 x 1 1/8 Bridgestone Tires, Suntour arx shifters and deraileurs, SR Road Champion handlebars, aluminum breaks, Aluminum 27-36 spoke quick release wheels, 3sprockets up front 6 in the back, chrome moly-crmo 4130 frame. I changed nothing even though I did put some miles on it. It was in immaculate shape until I had kids. My son who’s bike was also stored in the shed would tear his bike out of the shed and unfortunately my bike now has multiple scratches but absolutely no rust. I would pull it out polish it and spray with wd-40 and back it went into the shed. I just lost 20lbs and some country back roads are going to be tackled with my Bridgestone. 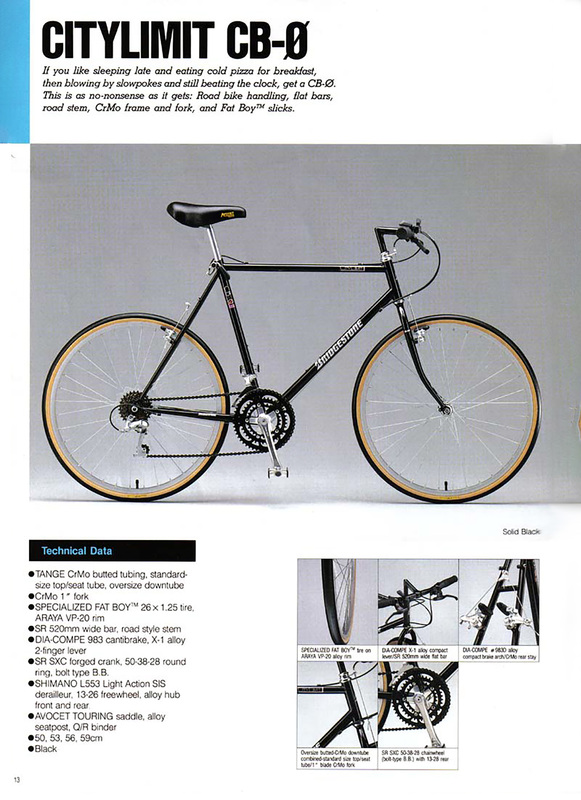 Comparable bike; a canondale cost one thousand dollars. So I just got a new bottle holder and I am looking for a saddle bag and I will put new tires on. My big problem are the wheels which are out of tune and need to be straightened. I will try to get this done so I can hit the road but I just might buy two new rims if I can get them a a cheap price. This is my biggest problem. Also the cables for the shifters have stretched and I will have to adjust them. These cables are covered with plastic and vinly sheathing. Long live my Bridgestone. I bought my ’93 MB-4, new, from my local bike shop after my Diamondback was stolen. I have never ridden another mountain bike as comfortable as my Bridgestone & to be honest, I’ve only gone of road/path with it once. In ’94, I upgraded the tires to Avocet Kevlar beaded slicks and over the years, added a few anodized aluminum parts to spice it up. This a daily rider/commuter for myself and my 2.5 year old daughter, as she sits in the Bell Cocoon with the breeze wooshing the hair across her face. Last week I added an adjustable stem, Soma moustache handle bars, aero road brake levers and bar end shifters. If I had thought it was a sweet ride before, let me tell you that this is “toot sweet” now. There are more comfortable positions for my hands along with a better hill climbing position that my body gets into when I grab hold of the levers. My MB-4 is now a variation on the XO-# theme. 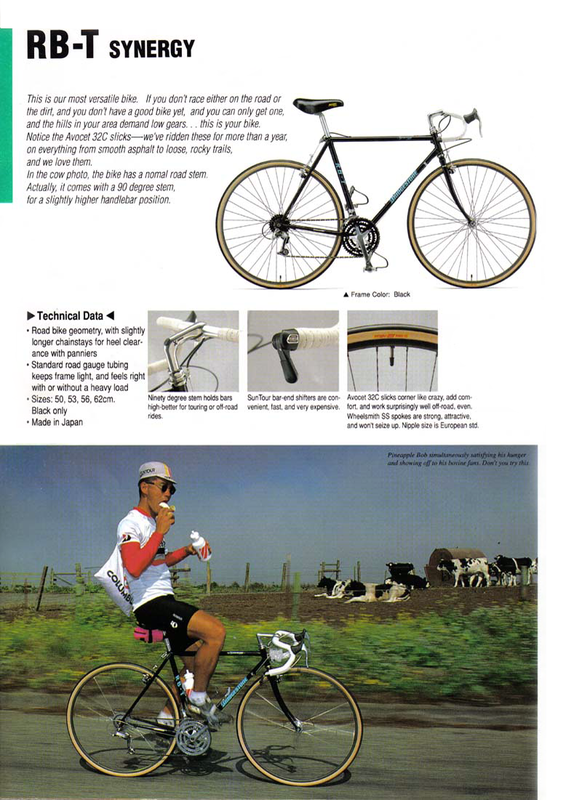 As far as road bikes go, I progressed from Schwinn as a pre-pubescent teen, to Miyata as a fresh adult, to a Vitus 979 in ’86. 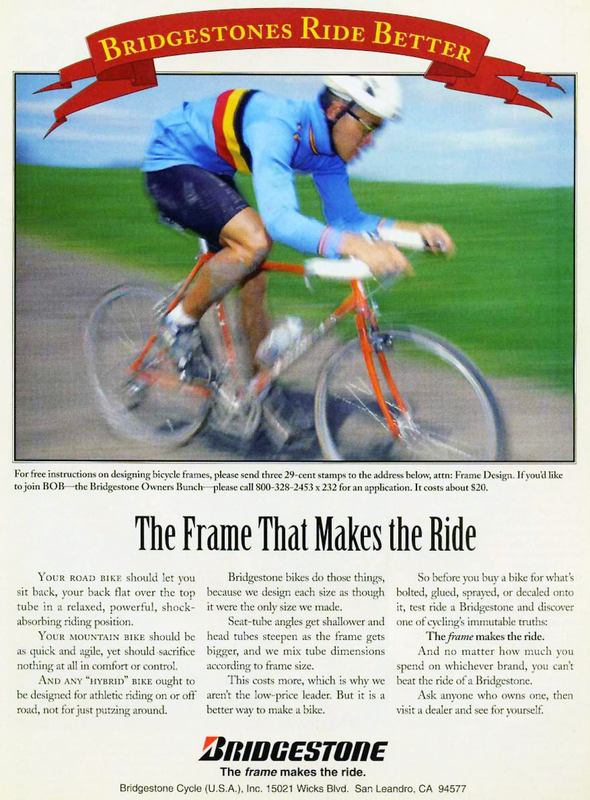 As my short-lived racing career came to an abrupt end, due to being hit by a light blue Ford Fairmont, I purchased the Vitus frameset and had it built by the same local shop from which I eventually got my first Bridgestone. No other road bike rode like that Vitus, but I sold it during a weak moment back in ’01. A few months back I had a chance to try out an aluminum Bridgestone Radac, which is a technological copy of the whole bonding process that Vitus mastered. I felt like I was home again, riding the Radac and so began my quest to find one that was affordable. I now have an ’88 Radac to go with my ’93 MB-4 and am as happy as a clam in a mud flat at high tide. Although, I still keep an eye out for another to add to my “fleet”. I have a SYB Bridgestone Kabuki that I bough used around 1979. 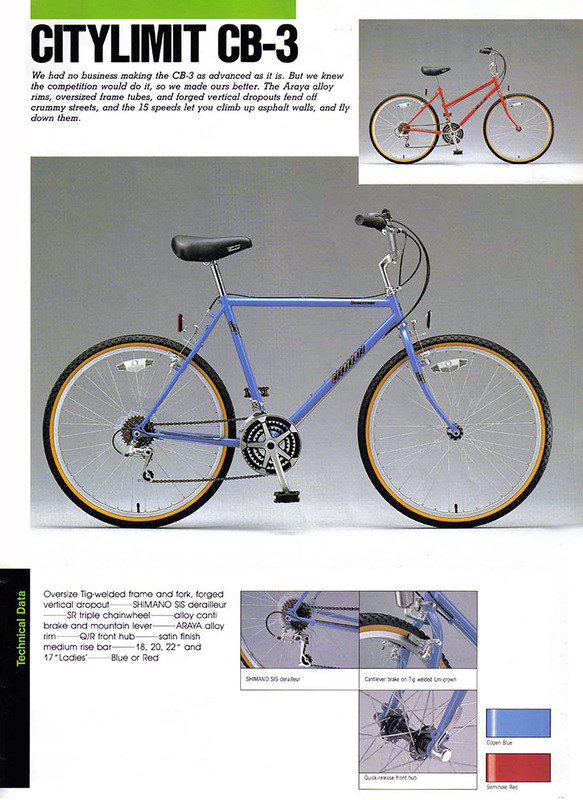 It is light blue 10-speed with chrome tipped forks. It is original, except for tires and inner cables. I’ve started commuting with it when the weather is good, 27 miles round trip. I have not seen any information on this model, SYB. i bought my mb-1 new. when i test rode it, it was un-believ-able. it is my favorite bike, i’ve put thousands of miles on this bike and it is my daily commuter. i feel this bike will still be around when i’m not. I just bought a used XO-5 in mint condition several weeks ago from a Schwinn Dealer for $240. I loved the bike, but it was stolen within a week! Now, I’m looking for a replacement. If it a guy’s bike and in good condition, I would offer the same. I just bought a 1985 bridgestone 400 12 speed in excellent (almost mint )condition. One owner, always stored inside and not even one scratch on it. I can’t believe how great it rides. Is it possible to get the shifter’s on the brake handle (like some of the newer bikes). The shifter on the down tube is a bit distracting and as a new rider, affects my balance. Any help or suggestions would be appreciated. I have a 1992 Bridgstone RB-1 that I bought new that year, for under $600. It is the yellow and white model. Original equipment included Ultegra bar-end thumb-type shifters, a Campy-style BSR brakeset, and 28C Ritchey tires (still have all of this stuff). The drive train was Ultegra 600, and after about a year of riding I put on Ultegra levers and an Ultegra brakeset. While the BSR’s were nice and shiny, they didn’t have half the stopping power of the heavier Ultegra’s. Later, I replaced the standard Ritchey wheels with a pair of Campy wheels with Ultegra hubs (Ultegra hubs were standard on the 1992 RB-1). Over the years, I have ridden this bike for many thousands of miles (mostly on Conti 25C’s), and, with only routine maintenance, it remains in excellent condtion. I still ride it almost daily. I’ve since purchased two other road bikes (this over a seventeen-year period). Both are Treks, one carbon and the other aluminum. I paid quite a bit more for each of these bikes, but I wouldn’t have traded my RB-1 for either of them. While the RB-1 is heavier than either of these newer bikes, it is both solid and sweet. I don’t see how one could improve its handling. The frame was dead on right off the rack, and my newer bikes simply do not have anything like this type of handling–never mind the price. Overall, the RB-1 is the best bike I’ve ever ridden. Friends, can you help me? A good friend of mine is thinking about getting themselves a new cbr 1000 as their first bike! Never rode much of anything else before! I said this is probably not a very good idea for the first one, but they are adamant and wont change their mind! What do you think, is this ok and would u maybe then just recommend proper training lessons? My son told me of the BDGSTN following….who knew? My RB-1 is in pristine condition, with Campy stuff. I treasure it….but I ride it as much as I can……got it in ’90 as a divorce gift to me. Was a pleasure saying goodby to her and hello to this work of art. I truly enjoyed reading your article. I just picked up 1986 MB-3 in great condition today. I’m extremely excited to be a part of the Bridgstone cult following. My first Bridgestone is a banana yello Superspeed that I got in a pawn shop for about 22 US dollars many years ago (mentioned in earlier post). The bike is still a pleasure to ride. Still coasts better than any bike I’ve added to my collection. About 1 year ago, my son and I set out to get a road bike for him. We check out an advertisement with photo of a gold colored bike that some college kid is looking to sell for a song and dance. What does he have? A 12 spd Grand Velo with full Campy set up and a serial number of 005. This young man had no idea what he was letting go of for so cheap I reached out to Grant Peterson via email to his current bike business in California to enquire about these bikes. He gave me a brief history and told me that these were hand made bikes made by the Keirin Japanese racers in the 70’s, some of whom were Bridgestone employees themselves, and were pretty rare. The bike is pretty light and sleek. Gets many looks and double takes… and it flat out flies. My son’s pride and joy. Hello there, just doing some research for my Canondale site. Can’t believe the amount of information out there. Wasn’t what I was looking for, but interesting page. Have a great day. After twenty years of my own Bridgestone Road (RB-1) and Mountain (MB-1) cycling, I’m happy that my son has joined the Bridgestone group. Right now, he’s just happy to be able to ride. (An MB-1). He is still discovering new things, such as the suspension bar. I hope he’ll grow to appreciate the philosophy as I did. I was given a new bicycle and there was not enough space in our garage for 2 bikes so I gave my RB-3 to a family member because I couldn’t bear to sell it. It was like given away a daughter at her wedding. I still miss my RB3 some days. It was so beautiful. i have a green kabuki ten speed and after getting it back from the bike shop today with the worst job on trueing a rim ive ever seen “its worse now” i noticed that they totally jacked up my downtube decal ive been looking online but havnt had any luck finding any vintage decals for this bike any ideas? i just would like to say i ride a rerigged xo-3 and with granto and his staffs expertice it has been areal pleasure to log nearly 5000 miles on it since. we have and ride 10 bstones in my central iowa town and we love them all. we are all baggers and tour a ton. keep up the great site. from one of the perry boys. Ihave a 1991 RB-1 i got it new. I ride almost every day. People who loves bikes get on the their knees. And look all over it. Dark green and tusk white paint. It looks new even after all the bike races in the 90’s.